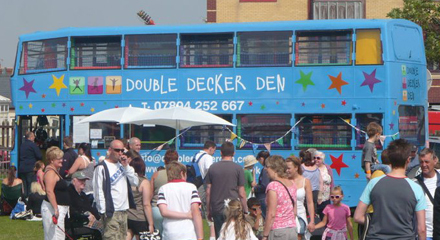 We can provide Double Decker Den for your festival, fete, summer fair event or fun day. How about our mobile soft play Double Decker Bus, ideal to entertain the kids at your organised event, summer fete or outdoor festival. Something nice for the kids to do, but also a chance to confirm that your kids will like it for their birthday party before booking a party of your own. Sunderland Air Show, Fake Festival, The Northumberland County Show, Ryton Festival, to name a few. We have lots in the diary and will post them here soon. If you would like to book Double Decker Den for your fete, festival or fun day we have a range of packages depending on your requirements. Please email us directly on info@doubledeckerden.co.uk and we will discuss your requirements further. 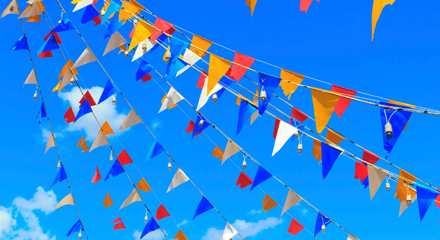 Each event is different and we aim to support and accommodate them on an individual basis. Uniformed – all the Double Decker Den team wear branded polo shirts and sweatshirts so they are easy to identify. 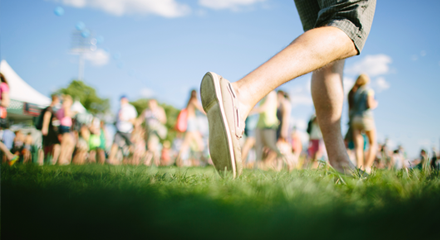 Contact us to discuss your festival, fate or fair event requirements.